Just a few hours ago we launched a new website for Firefox add-ons to help folks looking to customize their browser discover new add-ons they might like. Whether you’re just starting to try out add-ons or have been using them for years, Rock Your Firefox will feature several top add-on reviews each week to help you find your next favorite. The Firefox Add-ons site has thousands of add-ons, which is great when you already have an idea of what you’re looking for. But for a user just trying add-ons for the first time who wants to find a top-notch, safe, useful add-on and not be overwhelmed with tons of choices, Rock Your Firefox steps in to highlight great add-ons in small doses. 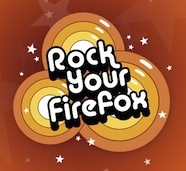 Mozilla community members who have been around a few years might recognize the name Rock Your Firefox as our Facebook application from 2007. It was just over 4 months ago when I posted about its retirement on this very blog. When trying to think of a name for this new consumer-friendly add-ons site, we kept coming back to Rock Your Firefox over and over because of its strong brand and easy-to-understand name. I’m really excited about the possibilities for this new channel and will be working on a few humorous add-on review posts for Rock Your Firefox in the coming weeks. 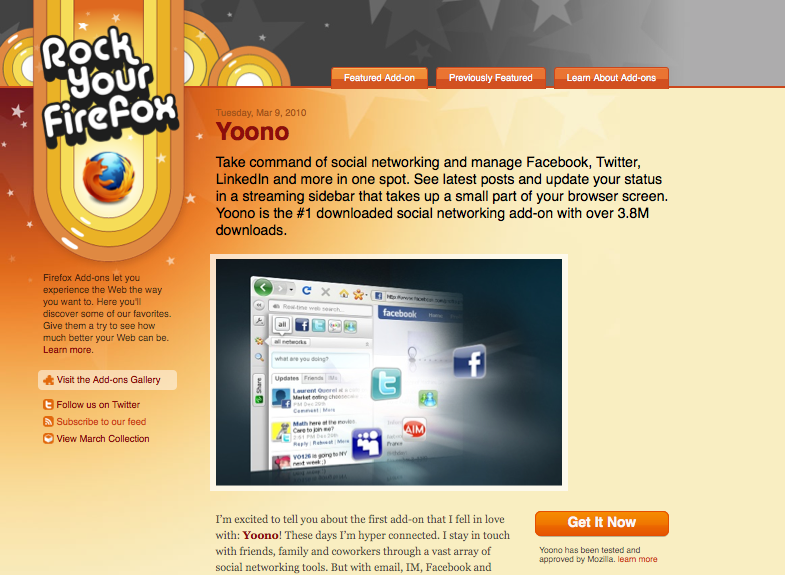 So, if you haven’t already, be sure to read our introduction post and then check out our first featured add-on: Yoono.